You may not be aware of the ways in which the music of Bert Kaempfert has touched your life but there is little doubt it has. You will know the instrumental sound, the songs and the stars who sang them but may not realise it was Bert Kaempfert’s genius driving the music. That is why his grandson, Stefan, has decided to bring his music to a new, young audience that will recognise the melodies but may not know why. In his exciting new recording, Kaempfert Plays Kaempfert, Stefan’s passion for the music, his love for his grandfather and his respect for the legacy he has inherited breathes new life into some of the most important popular music ever written. 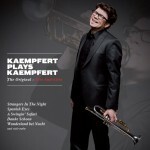 Stefan Kaempfert, you’re really a jazz trumpeter. 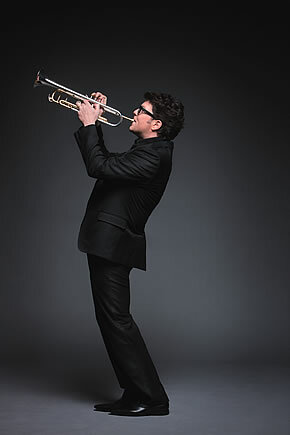 Isn’t it quite a leap from jazz to easy listening? My grandfather Bert’s roots were in jazz, too. He played swing in the American clubs in Bremerhaven just after the war and that runs right through his music. I grew up with the music he loved all around me. When I was three years old, my parents’ party trick was to prove that I knew my Basie from my Bert. Do you believe you inherit Bert’s musical legacy by right or have you had to work for it? Bert Kaempfert worked so hard to get where he did. My mother (the record producer Marion Kaempfert) always taught me that I would have to earn that legacy. Like her, I studied at a musical conservatory and slogged my way through the “normal” path of any working musician – classical lessons, jazz clubs, big bands and so on. She would not have asked me to take on this project if she didn’t feel I could do it justice. Did it feel like a huge responsibility? There was pressure but there was also love and I hope that comes through in the music. 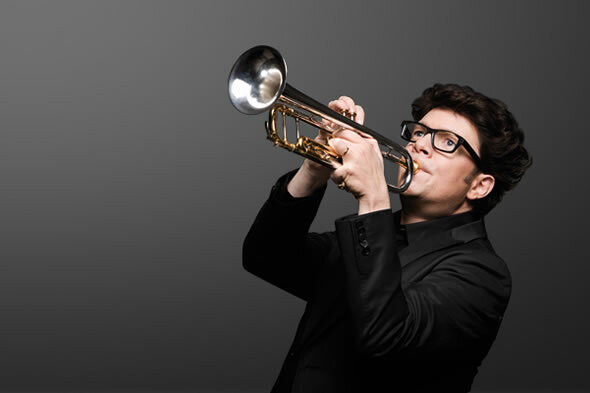 It wasn’t just my grandfather and mother that I had to live up to but my stepfather and trumpet mentor, Allan Botschinsky, who co-produced the project and, of course Tony Fisher, who was Bert Kaempfert’s lead trumpet player and who is one of the top 10 to 12 lead trumpeters in the world. He had been leading the Bert Kaempfert Orchestra in Britain since 1993 to the greatest of acclaim, but he wanted to slow down a bit, play a little more golf, have time to do jazz gigs. To have his support throughout was very inspiring. You collaborated on the recording? My musical director, Rene Stegman and I went to London to collect the library of Bert Kaempfert’s scores and parts from Tony’s house. Together with some very good new musician jokes, he talked us through all Bert’s original orchestrations and gave us some excellent advice; like how important the composition of the band is. Great session musicians can play anything technical, no problem. But you need people with a “feel” for this type of music. Kaempfert orchestration requires an understanding between musicians that goes deeper than mere playing skills. So you decided to use the London orchestra for the recording. Tony had developed the Bert Kaempfert Orchestra in London over 15 years. They have that understanding, that “feel”; and most of them are bandleaders or soloists themselves. True. But everyone’s so enthusiastic about Bert’s music that they’ve been incredibly supportive. I’ve become totally immersed in this project. The repertoire has all the elements that a soloist could wish for – beautiful melodies and a masterful orchestral sound; a wealth of notes from my grandfathers’ original parts and scores, which my mother never published, and only we play. This really is a labour of love for you. Live and alive – that attracted me particularly. I want to play the sounds and the tunes live. They are so beautiful, and utterly timeless and I want to bring that to the people. My motto is: “I’m bringing the music back”.